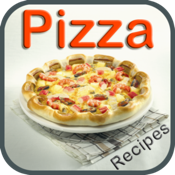 "Pizza Recipes" offers over 2000 recipes that anyone can use to create a hand crafted, authentic pizza. Step-by-step instructions are provided to create homemade pizza dough, specially seasoned sauces, and there are even suggestions for topping combinations. Using the recipes from "Pizza Recipes" enables anyone to make the best possible pizza in their own home. Pizza is a treat enjoyed by people the world over, but few know how simple it is to make at home. Chefs and enthusiasts alike share a love for pizza and all of its possibilities for creating the perfect dish to fill any hungry stomach. Because it is so versatile, there are multitudes of variations that satisfy any craving: from pepperoni to white pesto, pizza reigns supreme at the meal of choice. For the curious and adventurous, "Pizza Recipes" provides insight on these pies.